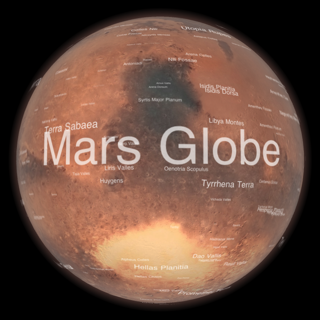 The Exoplanet app is a highly visual and interactive catalogue of all known exoplanets. Exoplanets are planets orbiting stars beyond our own Solar System. It is frequently updated whenever new discoveries are confirmed. An amazing model of the Milky Way lets you explore our universe all the way from the Solar System to the cosmic microwave background. 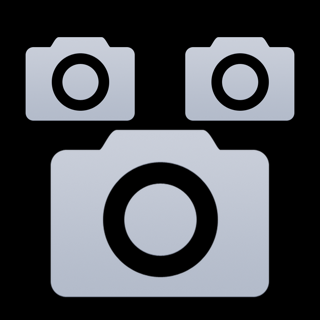 This app has been developed and is maintained by a professional astronomer. 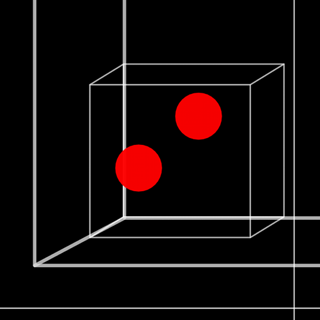 * Interactive visualisations and animations. 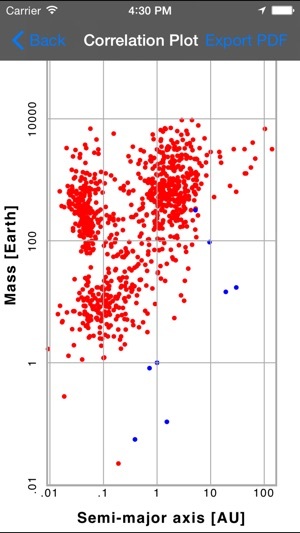 * Physical properties of all detected exoplanets and their host stars, updated on a daily basis. 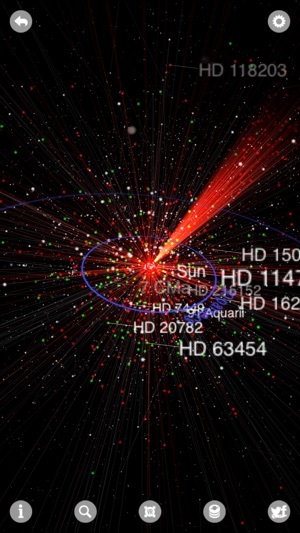 * Stunning 3D model of our Milky Way showing the location of all known exoplanets. You can zoom into any planetary system, explore how the night sky and the constellations look from the surface of other planets, or zoom out and see other local galaxies and galaxy clusters as well as the cosmic microwave background. * Visualisations of exoplanet orbits and the habitable zone. * Push notifications are sent out whenever a new planet is discovered. 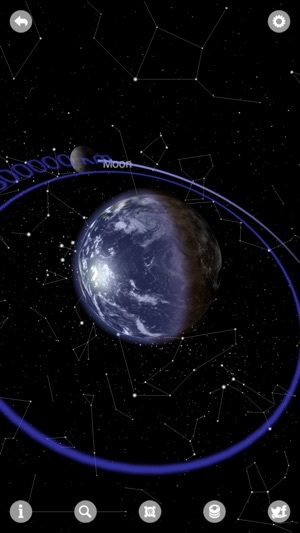 * Augmented reality sky map: point the phone towards the sky to find an exoplanet! * Interactive multi-touch correlation plots. * Extensive background information on exoplanets and detection methods. * Full support of planets in binary, triple, quadruple systems and orphan planets. * Real-time ray tracing on the GPU. * Experimental support for Philips hue (changes the color of the light bulbs according to the temperature of the currently selected star). * Includes alternative identifiers from Uwingu. 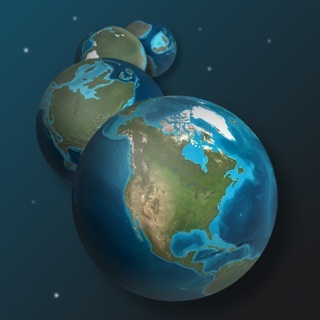 This complex app, Exoplanet, is an extremely educational free app made for iOS (version 17.1.0). It is designed to provide interactive visualizations and animations in order to share information on all known exoplanets. An exoplanet is a planet orbiting stars beyond our own Solar System. This app is designed for anyone ages 4 and up. 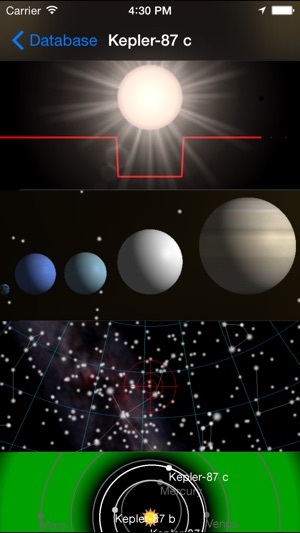 Exoplanet is advertised as extremely accurate and anyone using it can be assured that they can rely on its data having been developed and maintained by a professional astronomer. The app is also visually pleasing. 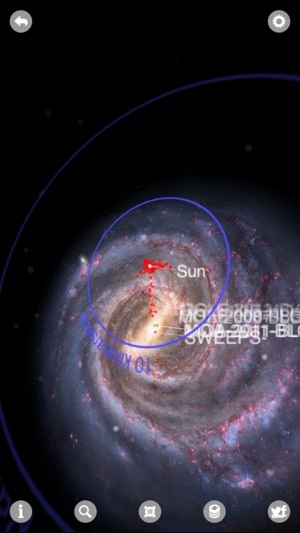 For instance, if the milky way option is selected you are given a wonderful visualization of the Milky Way galaxy with labels to include the Sun. 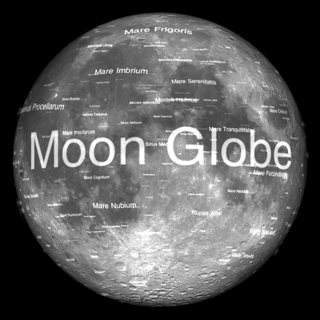 You can zoom in or search for any star, constellation, or planet and it will show you the location of the searched star or planet and along with its surroundings. This app is chalked full of information! You can choose any planet and it will give you information such as the mass, radius, density, orbital period, and more! 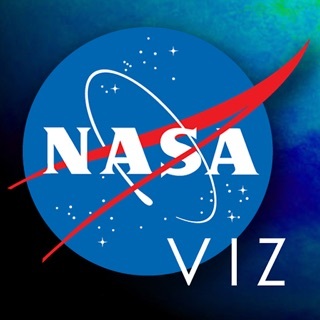 This app would be great for projects or research because it provides information on the Milky Way, extrasolar planets, spacecrafts, asteroids, galaxy clusters, and cosmic microwave background. The more I researched it the more I realized that this app exceeded my expectations! If you’re looking for an intriguing app full of information about space, Exoplanet is for you! This is a fantastic app. Over all of the years I have had it, I never once deleted it because it is always expanding. The great thing about this app is that it gives you such a great picture of the known universe. In my opinion, the in app purchases are a must, and exponentially increase the capabilities of the app. The one thing I would like to see is textures added to the planets. It disappoints me that every planet is just a ball with a name on it. If you made a dozen or so textures for different types of planets the app would be much more engaging, and the solar systems would look much more alive without being unrealistic. Make some textures and I will give you five stars. While exploring the program's Milky Way feature There was an option to explore local galaxies. That feature cost extra money but it was well worth it. It is the first time I've been able to explore in 3-D local structure of our universe and all its splendor. I totally love this program and I have one major complaint, a feature that was added in at some point… When viewing the Milky Way stars on the side angle you can make out the spiral arms but when you view it had on it superimposes a fake photograph of the Milky Way galaxy. There should be a settings option to disable the fake photograph.